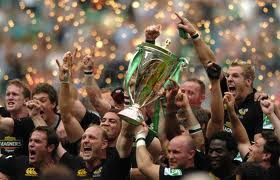 Bizarre news today that, after a truly miserable season, Wasps may somehow end up with a place in next season's Heineken Cup draw. This despite currently being under threat of both relegation and administration. 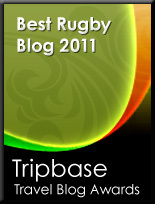 If either Clermont Auvergne (not beyond the realms of possibility) or Edinburgh (not so likely) win this year's competition then apparently Wasps, as the next best ERC ranked team based on their European performances in over the past 4 seasons, would secure the 24th place in next season’s tournament (provided always that they can retain their Premiership status with a single bonus point against Newcastle in the final game of the season). No, I don’t understand it either. Europe - does it matter? England = South Africa 'B'?